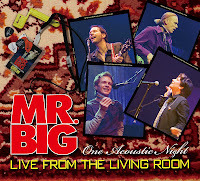 Rock band Mr. Big is set to release their new record, Live From The Living Room on Tuesday , February 28 via Frontiers Records here in the states. The record was recorded live in Japan in January 2011 in front of an intimate audience. The stellar musical skills in Mr. Big have always stood out. They are technically some of the tightest musicians to come out of the 80's. What set them a step ahead of many of their peers were their harmonies. The trademark raspy voice of Eric Martin surrounded by incredibly tight vocals of his bandmates was just special. Well, Martin, Paul Gilbert (guitar), Billy Sheehan (bass) and Pat Torpey (drums) haven't lost a step. 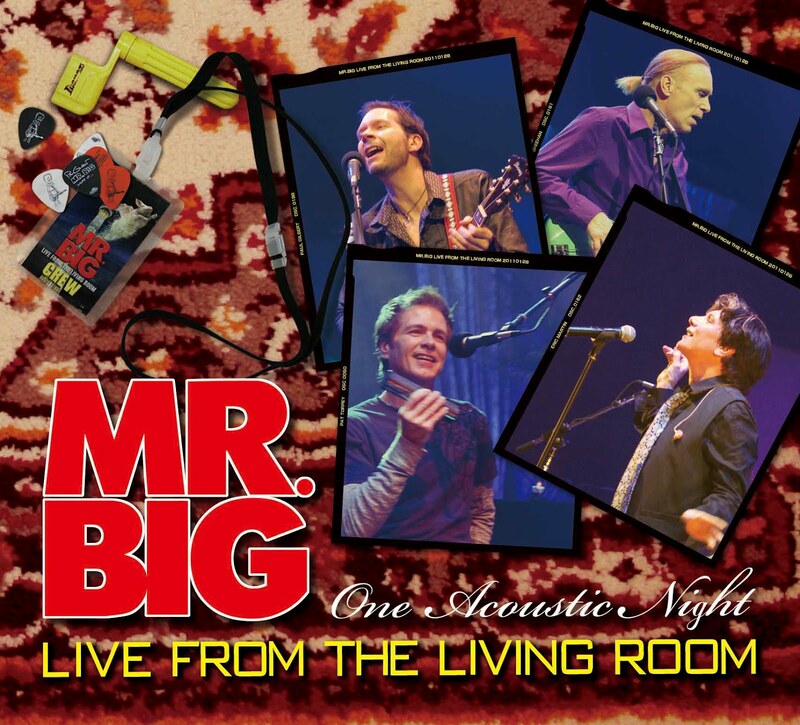 Live From The Living Room is Mr. Big stripped down and showing off what they do best. Oft times, when rock bands strip down, some of the musical fire is lost. This isn't the case with Mr. Big. Dare I say that I think this is some of the best live work I've heard from them? Well, it is. It's a record you can put on from start to finish without skipping a track. The harmonies are there and tight as ever as is the musicianship. This record should satisfy die-hard fans and casual fans alike. And, for those people who back in the day (y'all know who you are), were a bit disappointed that everything they did didn't sound like their hit single "To Be With You," this stripped down side of the band is probably closer to what you were expecting from them. Ironically, it's that song that I find to be the weakest of the tracks. It sounds good but personally, I just don't think it has the same spark as the rest of the rest of the record. Mr. Big's most recent studio album, WHAT IF..., was released last year via Frontiers Records and featured the original band line-up reunited for the first time in 14 years. Formed in 1988, Mr. Big forged its place in hard rock history by combining trademark virtuosic musicianship with stellar vocal harmonies. The original (and now reunited) line-up features vocalist Eric Martin, guitarist Paul Gilbert, bassist Billy Sheehan, and drummer Pat Torpey. The quartet produced numerous hit songs that ranged across a wide array of rock genres, including the ubiquitous "To Be With You," which was a Billboard Hot 100 #1 single in 15 countries for weeks, propelling the band to huge international success and record sales in the multi-millions.